Our Facility is top notch! We pride ourselves on having a beautiful, indoor heated pool, of which we are told it is one of the cleanest in all of Charlotte. And because we are a private facility and don’t have droves of people in the water, we can keep the pool pristine- which means no itchy skin or red eyes. 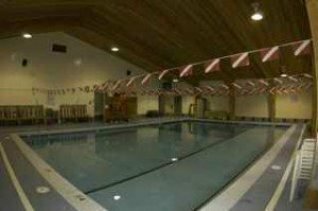 The pool has different depths (4, 6, and 15 feet) to accommodate all levels of swimmers, as well as a 2ft. ledge along one side so the young ones have a place to stand. Our restrooms are clean and comfortable, complete with lockers and bins for your personal items. We have showers that are intended for rinsing before and after your lesson. We also have a retail store, where you can buy goggles and swim caps right on site (as well as view the pool through a window). We think you will enjoy our small, private atmosphere as much as we do. Our Teachers are fantastic and Certified! We believe there is a big difference between knowing how to swim, and teaching how to swim. 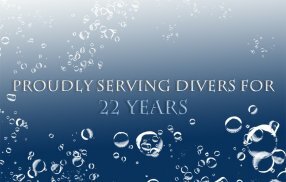 Every instructor you will encounter at OWA Swim School is mature and responsible, and already has experience! We are known for well disciplined and organized classes, and have fun at the same time. 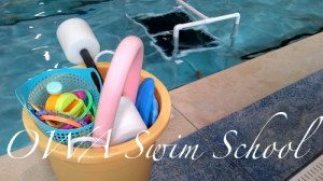 Swim teachers are trained and certified through the SSI (Swim Schools International) program, which includes several hours of in water and classroom training, as well as required shadowing of a mentor teacher for weeks. Requirements also include background checks and ongoing training. Our teachers are trained professionals. As an extra measure, we are all certified as lifeguards (which includes first aid, CPR/AED). For our uniforms, we wear wetsuits, which not only keep us warm for hours worth of teaching, but are modest and protective. We aim to make you and your children feel as comfortable as possible! Meet our instructors. Our Classes are great! Some places have up to 8 or 10 kids per class, which in our eyes means your child gets very little one-on-one time, and could be a waste of your money. Thats why our in our group lessons, there are no more than 4 kids per class. And even in a full class of four, kids are still in the water the entire time and are encouraged to practice, even when its not their turn, so they can get their full 30 minutes worth. Of course, there are also the private and semi-private options, which are very popular, and guarantee very individualized attention. There are usually no more than 3 teachers in the water at one time, which means lots of pool and deck space- no crazy overcrowding! Parents and others are also allowed to observe lessons from the pool deck, provided its not a big distraction to the kids. For our littlest swimmers, we actually encourage and want at least one parent there, to be another pair of eyes on the class. Last but definitely not least, our adult private classes have been growing in popularity! If you have never put your face in the water, or are training for a triathlon, we aim to help you achieve your personal goals. 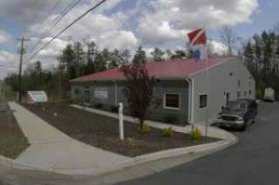 Our Goal is our slogan: Safety, Comfort, and Skills for Life. As a parent, we know your first and foremost thought is the safety of your child in and around the water. Or perhaps you are an adult, who has put off swimming for years because of fear. Either way, our primary goal is to teach what to do in case you or your child were to fall in any body of water- how to not panic, how to float and get air, how to get to safety. Next is to help our students feel totally comfortable in the water, regardless of technique. 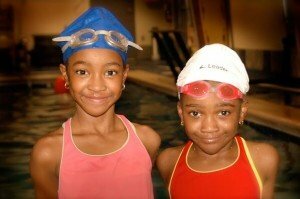 Once a student achieves being safe and comfortable in the water, our final goal is to teach skills and techniques in order to be a proficient swimmer for recreation, fitness, or swim team preparation. 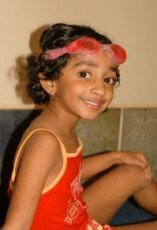 Our goal is to help each student retain swim skills for life. Our Customers and Students themselves are different than other places. You will not be just another name in the computer. At OWA, we really try to know you personally, which isn’t hard since many of our swimmers stay for months (or years) at a time! Our instructors know all the kids by name, and can recollect individual skills and achievements of a single student! Bottom line, we want you to enjoy our family type atmosphere, and get the type of respect, promptness, and efficient service you deserve. Our History speaks for itself. The swim program has been going at this location since the year 2000, and we anticipate being here for a long time. We have thought thousands of children and adults at this point, many who have great stories of how swimming has now helped save their own lives or just helped them have fun safely at the local pool! On average, we have a 80% return rate, which means students stay on for months/ years at a time, or come back year after year to continually improve. We hope to add you to our ongoing history!